With the medical financing that we offer you can get access to the funds that your business needs with the least possible fuss. Medical financing comes in all shapes and sizes; from credit cards and overdrafts to bank loans and angel investment. 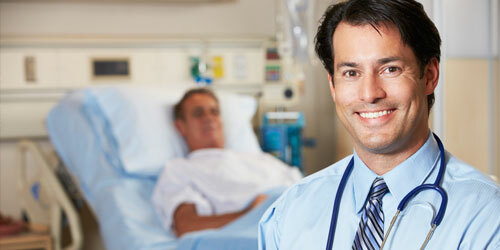 Here at Crest Hill Capital we offer alternative financing for the health care industry. The product that we offer is known as a merchant cash advance. With a merchant cash advance you get all the benefits of receiving a lump sum up front, but you don’t suffer a lot of the drawbacks that you’ll be tied down with by mainstream lenders like banks. As we’ve already mentioned a merchant cash advance works a little like a bank loan in that you get a large lump sum of cash up front. That’s where the similarities end, however. With a merchant cash advance you won’t accrue interest even if it takes you longer than expected to repay. A merchant cash advance doesn’t involve fixed monthly repayments either because the repayment of the advance is satisfied as your business generates sales over time. If your sales numbers fluctuate, your repayment will fluctuate accordingly. Merchant cash advances have become increasingly popular in recent times due to the fact that banks have really tightened up with their lending practices. If you’ve had trouble sourcing the medical financing that you need from a bank or some other mainstream lender, make sure you don’t pass up on the opportunity to apply for a merchant cash advance today! Unlike with a bank loan we won’t need to see stacks and stacks of tax returns or other financial records. We won’t need a lengthy business plan from you, or a squeaky clean credit history. Because we don’t offer business financing in the same way that banks do, we can afford to be a little more liberal in how we lend to businesses. Once you are approved for funding and we agree on the repayment terms, we will deposit the advance directly into your business checking account. After you receive the advance, it is the revenues of the business that will repay the balance over time as you generate sales. Repayment takes place automatically so there is no hassle or stress. Get in touch with us today to see how our alternative medical financing could benefit your business. Fill out the short application form here on our website and one of our operators will call you back to discuss your business’ need for funding.